What products to sell online in 2019? Are you wanting to sell online and are not sure where to begin? Don’t worry you have come to the right place. At Prestige we have made selling your product or services simple and easy, with our wealth of experience in the retail industry we know exactly what will work and what will get your website making those all-important sales and help increase your income. The key is finding the right product to sell as this can make or break a business. The items you decide to sell will help mould your business which can include the type of store design required to the SEO and marketing techniques needed. 47.3% of the world’s population is anticipated to buy from ecommerce sites in 2019! 71% of buyers believe that they will get a much better deal via a website than in store. There are several stages involved when starting to sell stuff online and our team of online selling experts can guide you through every step. Below are some of the processes that you will need to think about when setting up your online store. Choose carefully what items you are selling. Find a domain name that is right for your business. 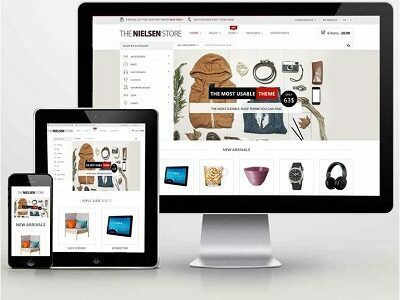 Have a professional and trustworthy store designed. Set up a payment facility. Select your shipping methods and rates. Market and promote your product, services and store. How do you find the perfect items to sell online? This is always a stumbling block for new start up sellers. How do you find that niche product that will sell easily and earn you money at the same time? This is where you need to research and research some more as there are still opportunities out there to be had as there are new items being launched successfully to sell online every day. We may not be experts in finding products to sell but through our years of building clients stores and brands we have a list that could provide you with ideas and point you in the right direction of finding those best-selling products online. Sell an item that would help solve a customers everyday problem. Offer a product that would appeal to customers with a passion for pastimes. Find “new trend” items for customers to buy. Sell something that you are personally interested in. Offering a professional service which you have personal experience in. See what items are highly searched and are best selling products online. Find an item that is keyword based in search engine queries. What type of store software should you use? There is a huge selection for sellers of different ecommerce website design platforms available to sell your items online. It all depends on personal preference and how easy you will find using and managing your shop. Below is a small list of our favourites (in no particular order) all of which are easy to use and manage once your online store has been created, we have also linked to pages for further information on each platform. Owned by the eBay marketplace, Magento eCommerce is a great selling platform which certainly knows what is talking about, it allows you to take complete control over your sales channels with great functionality and apps. This software lets designers create shops that have a beautiful store front to sell your items, also Shopify retail stores have an amazing user interface and 100’s of mobile device themes to use amongst many other excellent features. This plugin is used in conjunction with WordPress to create a great place to start selling your stuff online, WooCommerce has many top shopping features and add-ons to make an amazing experience for buyers. 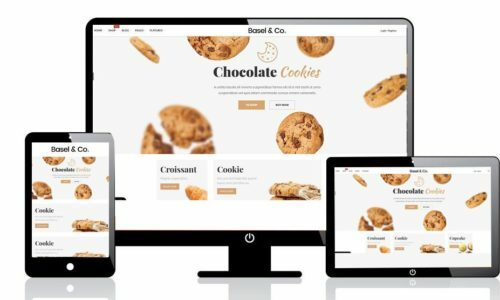 This eCommerce software allows you to create a unique and custom-made online store to fit around your business using the excellent Umbraco content management system platform. These platforms are also a great way of selling your products online and reaching millions of shoppers but there is nothing better that having your very own online store to sell products as it takes away the fees that these types of merchants charge for using their marketplaces. What are the start-up costs for selling products online? This really does vary as it does depend on what you are selling and how you want to sell your items. If you are looking to set up your own website, you will need to ensure you have a budget put aside for this and as a rough guide our basic store designs begin from £1995 but again it all depends on how you want your site to work etc. Do I need skills to sell on the internet? Many people have taken to selling things online and there are no skills required as such to do this. Just as long as you have an online shop front to showcase and sell your items and the determination to manage your store then this is all you need to begin with. What would be the best ways to grow and market my business and products? We always recommend that search engine optimisation is one key to a successful business, ensuring your website and its items have the appropriate SEO will help you gain traffic and turn them into sales. However, this is more expensive but worth every penny to take your business to the next level. Visit our marketing and SEO pages if you want to know more about our services and what we can do for your online business. Another quick and easy route to begin with could be promoting and selling your products via social media marketing including Facebook, Twitter and Instagram. You can share, obtain more followers and likes via your social network pages and if done correctly your store will gain more recognition and trust and hopefully more sales. We hope we have given you inspiration to enter the world of retail by supplying you with a wealth of information on how best to sell online. If you would like a quotation for us to build an online shop, please contact us.